CLEVELAND — An insurer has stepped up to sell individual health insurance policies to the last county in the United States without coverage in 2018, signaling the resilience of an Obamacare market that had been forecast to fail. The Ohio-based insurer CareSource has struck an agreement to sell policies in Paulding County, in the northwestern corner of the state, ending months of efforts by insurance commissioners nationwide to maintain coverage despite decisions by major insurers to bolt from the individual market. The deal was a win for Obamacare, which survived a Republican repeal effort and uncertainty created by the Trump administration’s refusal to guarantee that it would continue to pay cost-sharing subsidies that support the individual exchange market. READ NEXT: Uber and the gig economy used to love Obamacare. What happened? Earlier this year, more than 40 mostly rural counties across the country faced the prospect of having no options for their exchanges. 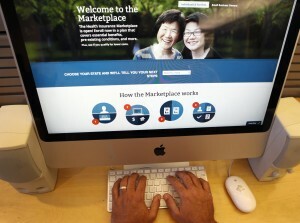 Insurers who withdrew cited steep losses and a lack of clarity over the future of President Obama’s Affordable Care Act. Many counties still have only one insurer, and premiums in many regions will increase significantly next year due to the financial pressures facing insurers. However, Thursday’s announcement means there will be no gaps in coverage. And ironically, it was primarily the work of Republican governors that prevented the market from crumbling. In Ohio, Republican John Kasich, an opponent of Trump’s in the presidential election and supporter of Obamacare’s Medicaid expansion, worked with insurers to fill the gaps. Earlier this year, Anthem Blue Cross and Blue Shield pulled out of the state, as did Dayton-based Premier Health Plan, leaving 20 counties without coverage for 2018. In the end, Kasich’s administration struck arrangements with five different health plans to provide coverage, including CareSource, Medical Mutual of Ohio, Buckeye Health Plan, Molina Healthcare of Ohio, and Paramount Health Plan. Prior to Thursday, several other states also struck deals with insurers to fill gaps left in their markets. Anthem pulled out of Nevada earlier this month, but Republican Gov. Brian Sandoval’s administration reached an agreement with Centene Corp. to provide coverage. This article is reproduced with permission from STAT. It was first published on August 24, 2017. Find the original story here.